Today’s consumers are immersed in an environment that values speed, customization, and technology. Whether it’s ordering an item with free two-day shipping from Amazon Prime or logging onto your favorite retailer’s website to be greeted by promotions and deals that match your interests. Fast, personalized and high-tech experiences have become standard. As retailers debut augmented and virtual reality features, even more expectations surrounding the customer experience are on the horizon. This year alone, virtual reality has entered the retail scene in multiple different ways. Walmart, for example, started training its employees with virtual reality headsets to encourage experiential learning. Coming from a more consumer-driven approach, major retailers such as Macy’s are starting to pick up on this trend. This holiday season, Macy’s implemented augmented and virtual reality in its furniture department with “See Your Space IRL,” which enables shoppers to envision furniture pieces in their home via their mobile device. Customers can feel confident about making even their most expensive purchases because they know how the combination will look within the context of a room. Retailers who realize this and provide a virtual reality platform for their shoppers whether online or through headset technology in the physical store, will secure an advantage in winning over dubious customers. As a shopper, putting together the perfect outfit or room ensemble can be an overwhelming and often fruitless task. Shoppers bounce from sites in seconds because they are not confident they can achieve their shopping objective. That is, there is a lack of intuitive navigation and the retailer does not present the customer with what they are looking for. Shoptelligence solves this issue by offering curated product suggestions to increase sales from across the catalog. It’s as if you were in a store, face-to-face with a stylist that presents only the options you care about – prompting browsers to become buyers. With Shoptelligence’s Style Discovery Platform, basic product data is turned into interactive rooms and outfits for visitors to shop from. This experience between the research and purchase stages allows shoppers to envision what they want in a more specific, personalized way. Shoptelligence easily integrates into the retail sites of furniture and apparel retailers – bringing the shopping experience to life. 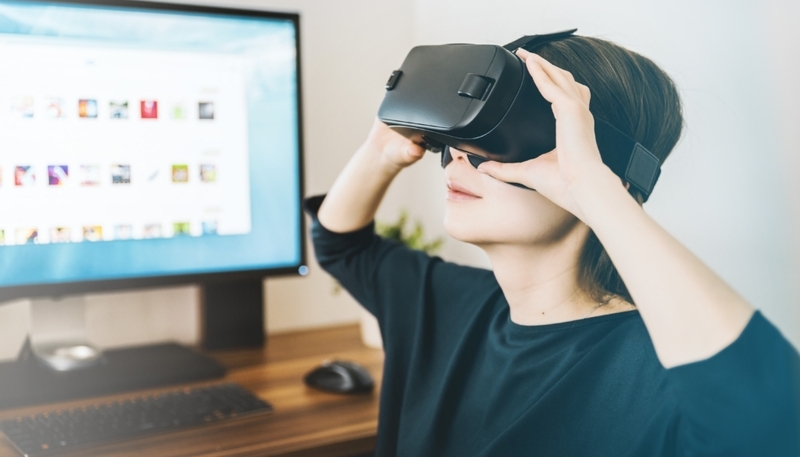 Ultimately, the platform allows shoppers to experience the evolving virtual reality capabilities that will lead to enhanced product discovery and retailers will reap the rewards of increased basket size and revenue.